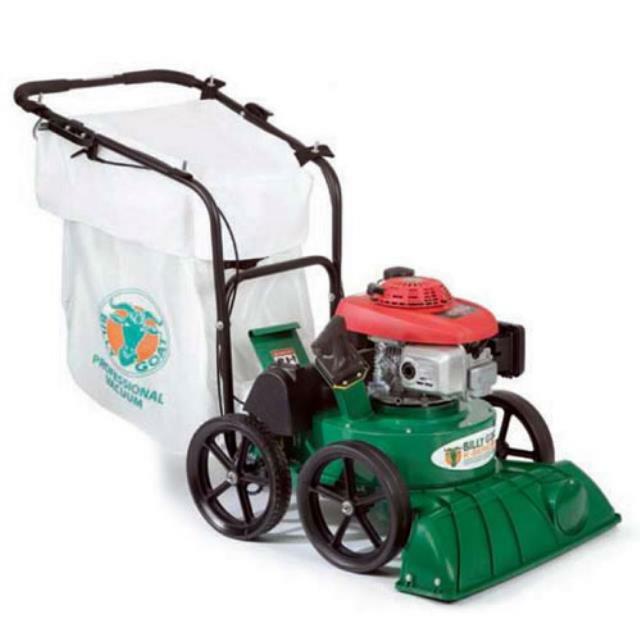 The lawn vacuum is a heavy duty vacuum for dry debris and leaf pick up. The large capacity bag is easily removed for emptying. The unit is not self-propelled but is easy to push manually. The vacuum bag fills quickly. The operator then removes the bag to dump debris in disposal container. Click here for the Billygoat KV650 parts and operation manual.